In 1956, toward the end of Reverend John Ames’s life, he begins a letter to his young son, an account of himself and his forebears. I removed most of the summary on this one, because I am finding that summaries give too much detail. They make statements on the nuances of the story that the reader should be left to determine. That was the case here. 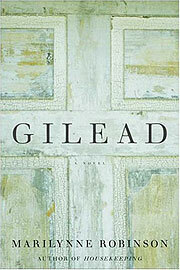 Gilead was a difficult book for me to get into. I found it slow and sloshy. The lack of chapters was different, and the journal/letter format was off-putting. However, I found an afternoon that I could sit unencumbered and give to it my full attention. What a beautiful flower this book turned into! The tightest of buds in the beginning, slowly opening its petals to the world, and finally releasing the sweetest of fragrances. 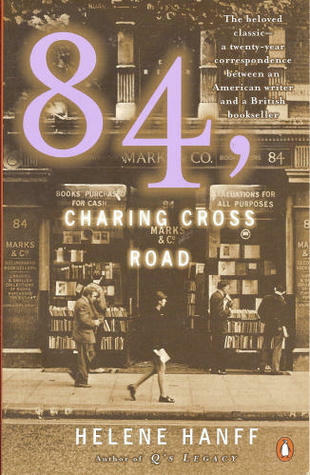 I picked up this book because it won the Pulitzer, and I wanted to find a book that I felt was worthy of this award. After reading several others, and finding them sorely lacking, I have found (along with Margaret Mitchell’s Gone with the Wind) a true masterpiece strong enough to support the honor. The premise of the book is an aged father writing to his young son. He wants his son to know him in a way that time will not allow. I am not going to go into much detail about the nature of the entries, but I will tell you that John Ames is a man of love, wonder, faith, and hope. He is beautifully presented, then compared and contrasted with his best friend, his wife, and his namesake. The #1 New York Times bestselling master of suspense delivers a shocking thriller that proves that a well-placed lie can help build a comfortable life and a secret has the same explosive power to destroy it. 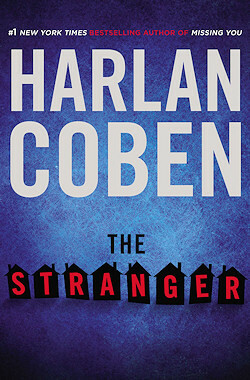 In The Stranger, married parents Adam and Corrine confront the shocking secret on which their marriage is built leaving Adam wondering whether he ever truly knew Corrine at all. Any book that I cannot put down until I am finished automatically get 5 looks! This book will not change the world, will not bring about a soul change for the reader, and will not make you rethink the trajectory of your life. But, it will keep you on the edge of your seat and make you forget everything else for the hours that it takes you to read it. Just released, I find that the summaries for this book (at the time of this review) are incorrect (they reference “Hannah” instead of the correct “Corrinne” as the wife’s name, maybe a last minute edit before publishing). However, that small fact makes me think I am on the cutting edge of reading this one! I could have used a little more background and family life of the periphery characters, as they factored in a little more as the story wore on, but it didn’t detract from the rollercoaster ride that this book turned out to be. 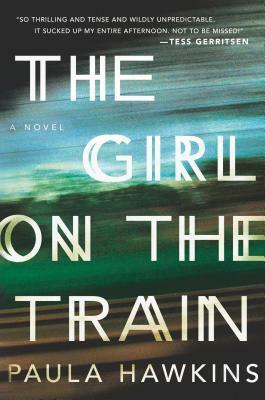 A nice, formulaic thriller, perfect for the beach, a rainy day, or a “palate cleanser” after a deep, dark read. It will grip you at the beginning and leave you satisfied at the end. From a prizewinning young writer, a brilliant and inventive story of love, lies, and inspiration. Fairy-tale romances end with a wedding, and the fairy tales don’t get complicated. In this book, the celebrated writer Mr. Fox can’t stop himself from killing off the heroines of his novels, and neither can his wife, Daphne. It’s not until Mary, his muse, comes to life and transforms him from author into subject that his story begins to unfold differently. Mary challenges Mr. Fox to join her in stories of their own devising; and in different times and places, the two of them seek each other, find each other, thwart each other, and try to stay together, even when the roles they inhabit seem to forbid it. Their adventures twist the fairy tale into nine variations, exploding and teasing conventions of genre and romance, and each iteration explores the fears that come with accepting a lifelong bond. Meanwhile, Daphne becomes convinced that her husband is having an affair, and finds her way into Mary and Mr. Fox’s game. And so Mr. Fox is offered a choice: Will it be a life with the girl of his dreams, or a life with an all-too-real woman who delights him more than he cares to admit? 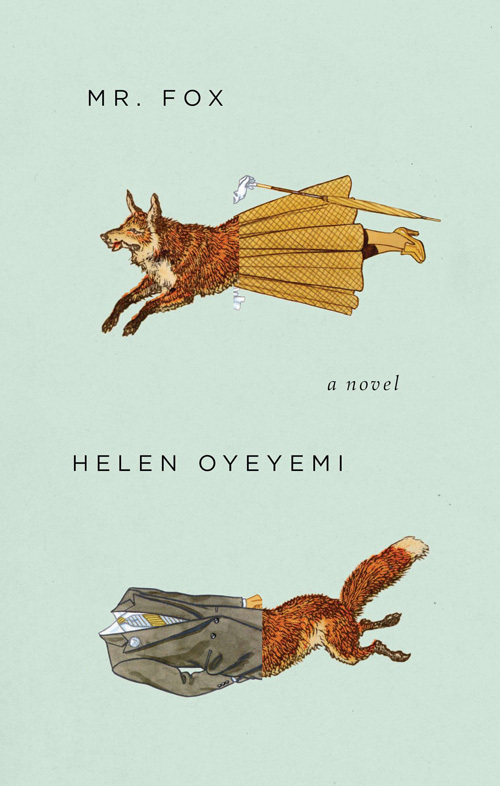 Helen Oyeyemi is gaining a reputation for spinning old fables into new and exciting literary works. The idea that these tales are relevant today is enough to draw me into the web that is this book. The book starts with a quick introduction of the three main characters: St. John, Mary and Daphne. As the book progresses, it morphs from reality to imagination to hallucination. If this was being filmed, I could imagine the camera angles askew and sometimes a little out of focus. It is a feeling of being disconnected from any real relevant storyline thread, as chapter-after-chapter moves in and out of realities, making the reader ask if it’s really happening, or not. And therein lies the issue for me: the disconnect. Perhaps it’s what Oyeyemi intended: for the reader to question reality, and look at it in a new light. To see it as temporary, transient and transparent. The stories were nicely written, and I found myself highlighting more than a few passages. However, I was left very wanting at the end of the novel. There were too many loose threads, and questions. There were too many “how did they pull that off” moments in the book to be feasible for me. I straddled the fence between wanting a concrete story, and the filmy gauze of imagery; but, not both. However, back to the fables on which this is based. Bluebeard is a very straightforward and clear story. As is the original English fairy tale Mr. Fox. While both stories are a little off-putting, they are not ambiguous in their telling, their action, their characters, or their conclusions. When I read the last line in Oyeyemi’s rendition, I was simply glad it was over. The seventh son of the Seventh son, aptly named Septimus Heap, is stolen the night he is born by a midwife who pronounces him dead. That same night, the baby’s father, Silas Heap, comes across a bundle in the snow containing a new-born girl with violet eyes. The Heaps take this helpless newborn into their home, name her Jenna, and raise her as their own. But who is this mysterious baby girl, and what really happened to their beloved son Septimus? This was a very fun read! The characters were enjoyable, the action was fast, and the pace was perfect for a book in the YA genre. I read some of the other reviews and saw many negative comments about the reading level and pandering style of the author. I don’t agree with that at all, and think this is the perfect book to engage the more hesitant readers in middle school grades. At a hefty 500+ pages, this type of book is needed to encourage and hook young readers, making them readers for life. I am also loathe to read reviews where this is compared to the Harry Potter series. While it is a fantasy book, with wizards and such, this is a totally different story. It cannot be compared, and suffers from the expectation that a comparison with the best-selling series in history invites. This is its own story, with simple and straightforward characters, clear action, and an intriguing storyline. 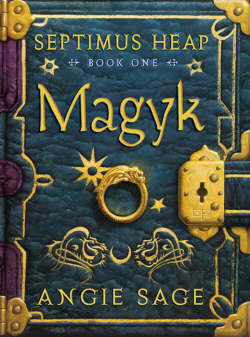 Buy this for your middle schooler and get ready for a love affair with Septimus Heap! “The Professor” introduces Thomas Jackson McMurtrie, a longtime law professor at the University of Alabama, who, 40 years after giving up a promising career as a trial lawyer to teach law students at the request of his mentor, Coach Paul “Bear” Bryant, retires to his farm an angry and bitter man, betrayed by both a Board member he mistook for a friend and his own failing health. Meanwhile, the young family of one of Tom’s oldest friends is killed in a tragic collision with an 18-wheeler. Believing his career is over, Tom refers his friend to a brilliant, yet beleaguered, former student, Rick Drake, who begins to uncover that the truth behind the tragedy is buried in a tangled web of arson, bribery and greed. When a key witness is murdered on the eve of trial, the young attorney, in over his head and at the end of his rope, knows he needs help…and there’s only one man who can help him. Usually first novels are not impressive. They are rambling, full of clichés and one-dimensional characters. This first novel from Robert Bailey is the exception to all of these. Gripping from the beginning, the story is a fast-paced legal thriller full of good guys, bad guys, and victims. The characters bring real life onto the pages, from the moment you find out Tom has bladder cancer to the end when you discover what happens to a beloved character. There are no shiny characters here, as is often the case when you have a clear good vs. evil stance. Tom and Rick are both flawed men who are living down a past while they work to build a case, friendship, and business. The bad guys are mean to the core, and you will find yourself rooting for their comeuppance. The story became so stressful for me at times that I had to put it down for a few hours. That is the mark of a good one!! I am happy to say that I found the ending to be very satisfying. Written by a local lawyer, this definitely has the feeling of early Grisham books, but there is something more pure in this one. Perhaps it is the local flavor that appeals so to me. Perhaps the characters are a bit more mature than Grisham’s Mitch McDeere. Whatever the case, I am pleased that Bailey just finished his first draft of the sequel, “Between Black and White.” I will definitely be one of the first in line for that one.